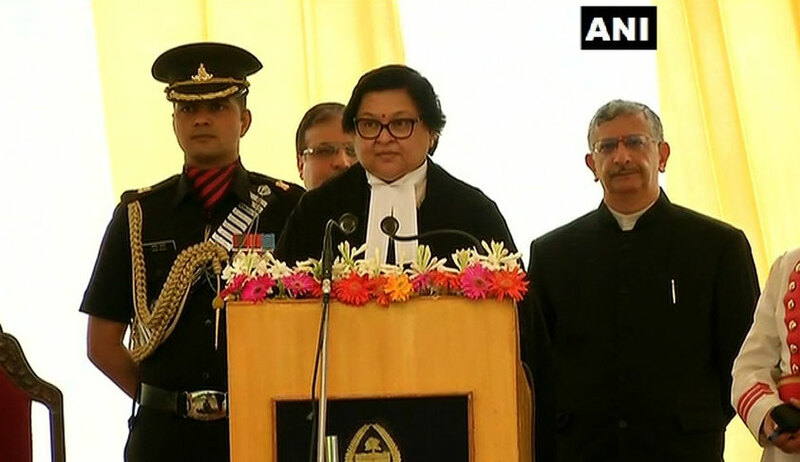 Justice Gita Mittal was sworn in as the Chief Justice of Jammu and Kashmir High Court on Saturday, becoming the first woman judge in the history of the court to occupy the post. She was administered the oath of office by Governor of Jammu and Kashmir, NN Vohra at Raj Bhavan in Srinagar. Justice Mittal is an alumna of Campus Law Centre, Delhi University, and began practicing in 1981. She was appointed as an Additional Judge of Delhi High Court in July, 2004, and was confirmed in February, 2006. She has been serving as the Acting Chief Justice of the High Court since April, 2017. She is currently chairing the court committees on the Delhi High Court’s Mediation and Conciliation Centre as well as the committee monitoring the Implementation of Judicial Guidelines for Dealing with Cases of Sexual Offences and Child Witnesses. She also spearheaded the Vulnerable Witness Court Project in the trial courts in Delhi, leading to the first such courtroom in India being inaugurated on September 16, 2012 and the second on September 11, 2013.